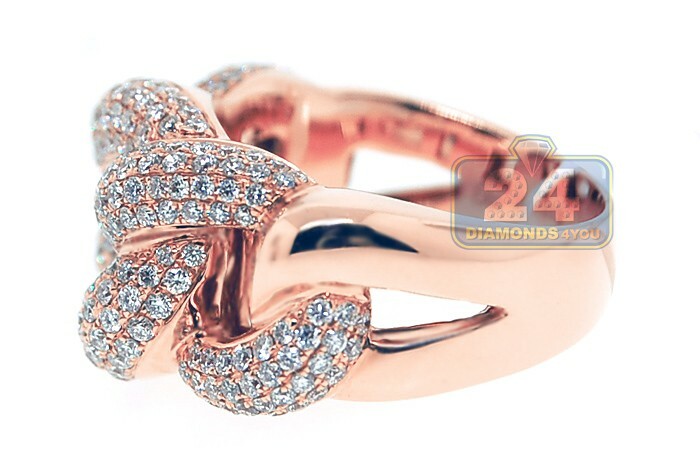 Our unique ring features an oversized knot motif! Massive interlocking links are connected with each other and making a truly solid and complete look. 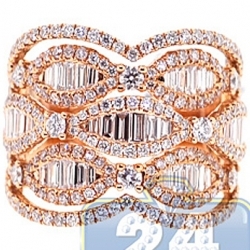 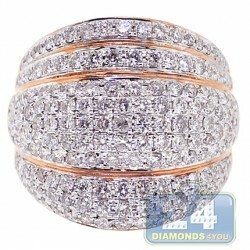 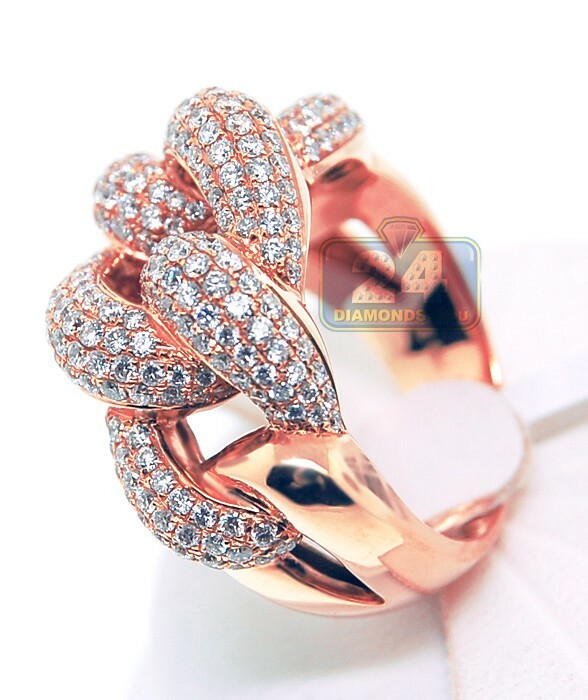 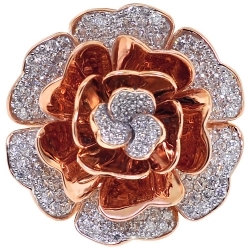 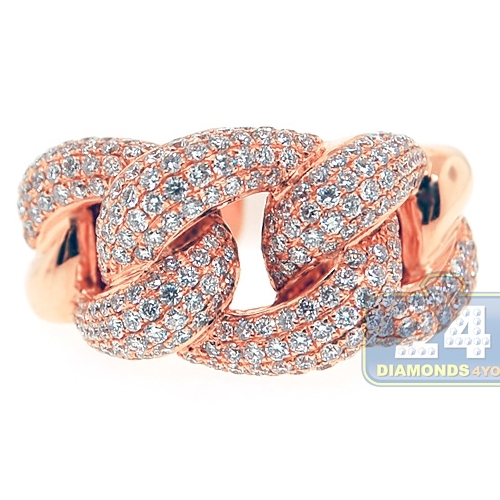 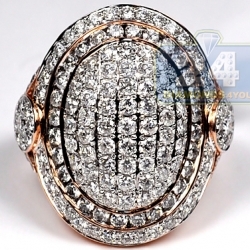 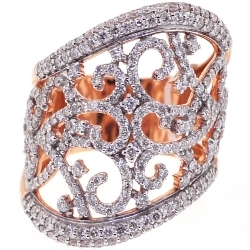 The band is skillfully handmade of high polished 18k rose gold, and beautifully encrusted with 1.90 carat of sparkling and eye clean round cut diamonds. 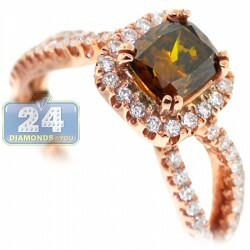 All brilliants are natural, with VS2-SI1 clarity and G-H color.